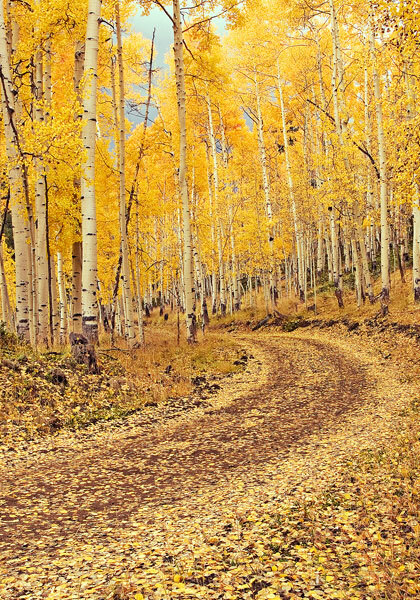 This photo was taken at the peak of fall colors near Lake City, Colorado. Just when I arrived at this location it began to rain so I waited until it stopped. After capturing this image, I headed back to the highway only to get stuck in the mud just created by the rain. I had to walk to the highway where I was thrilled to find that I had cell phone covered and was able to arrange to have my rented 4-wheel drive truck winched out of the mud. Photo © copyright by Mike Barton.